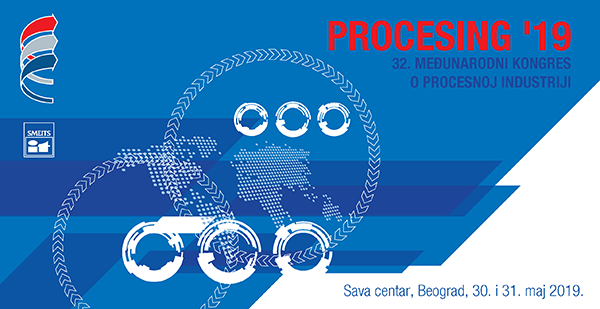 Processing ’19 is the thirty-second international congress on process industry organised by the Society for Process Engineering within SMEITS (Serbian Union of Mechanical and Electrical Engineers and Technicians), in cooperation with the Faculty of Mechanical Engineering of Belgrade, the Department of Process Engineering. Processing’19 will be held in Sava Centre, in Belgrade on 30th and 31st May 2019. This year’s programme will be focused on CO2 emissions from industrial plants, renewable energy sources: biomass, hydro energy, and solar energy, and their environmental impacts. 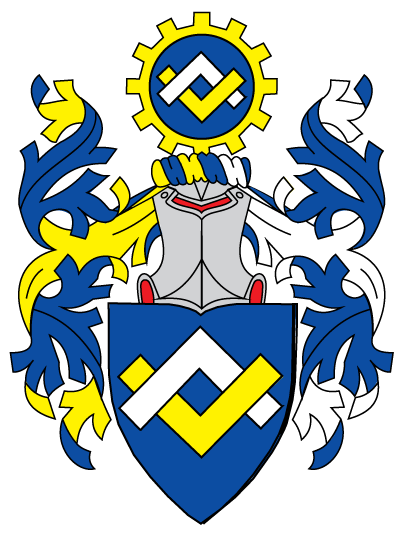 University "Union - Nikola Tesla"
Petroleum, chemical and petrochemical industry; ferrous and non-ferrous metallurgy; non-metal mineral processing; industry of plastic materials; industry of building materials; industry of fireproof and thermal insulation materials; wood pulp and paper industry; pharmaceutical industry; food processing industry; production of alcoholic and non-alcoholic beverages; animal feed production; production of artificial fertilizers and agricultural chemicals; tobacco industry; textile industry; rubber industry. Design of process plants; construction of process plants; commissioning; operation and maintenance of process plants; function and safety testing; automatic management and control systems; information technologies in design and management of process plants. Thermal (heating, evaporation, condensation, cooling, melting, etc. ); diffusion (distillation, rectification, adsorption, absorption, crystallisation, extraction, drying, etc. ); mechanical (grinding, milling, sieving, classification, briquetting, tableting, etc. ); hydromechanical (sedimentation, filtration, centrifugation, dedusting, mixing, etc. ); biochemical and chemical operations (fermentation, oxidation, reduction, etc. ); ancillary operations and equipment (transport, storing, packaging, etc. ); apparatus and machines, pipelines, and reinforcements. 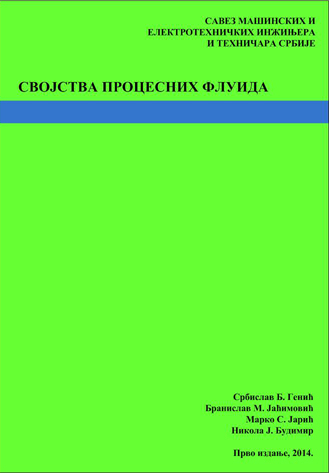 Energy efficiency in technological processes; use of renewable energy sources. Environmental protection, protection of work environment; circular economy in environmental protection; waste material management in process industry; solutions for reduction of GHG emissions from process industry. Treatment of water for various applications in process industry; wastewater purification in process industry. Drying processes and equipment; conventional and new drying technologies; drying process control and management, energy efficiency, environmental impacts; dryers in food processing industry, dryers in non-metal industry, wood dryers, etc. Fuel gases; technical and medical gases; production and application. Base physical quantities and units in process industry; legislation and standardisation in the field of measuring and testing; measuring for the purpose of process control, operation, and automatic management; measurement systems (sensors, transducers, actuators; organisation of complex measuring systems with data acquisition. Quality management systems and related, standardised management systems – environment, food safety, occupational health and safety, information safety, risks, etc. ; Integration of an organisation’s system management; methods, techniques and tools in quality planning, management, improvement, and provision, and in related systems of an organisation’s management; standardisation, metrology, and quality control; accreditations, verifications, assessments, and certifications of management system of an organisation; quality culture and quality strategy in production and service rendering organisations. carbon dioxide emissions from industrial facilities. The full congress fee is 8,000 dinars, while for SMEITS members the fee is 6,400 dinars (VAT included). The fee includes the congress material, welcome cocktail attendance, formal lunch attendance, etc. 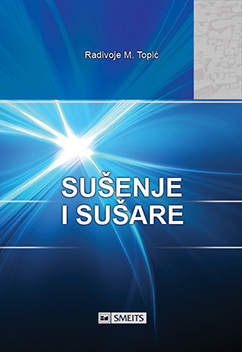 The Proceedings including summaries of all the accepted papers will be printed in Serbian and in English. After Processing’19, the Proceedings will receive its CIP and ISBN. The original presented papers can receive DOI (digital object identifier), which provides higher visibility and citation benefits. 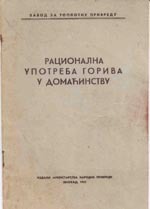 CV of the first author. The proposed topic of the paper and summary (abstract) should be sent to the organiser’s email address procesing@smeits.rs by 15th April 2019. Authors will receive a notification on acceptance of their topic and the instruction for the preparation of the full-length paper by 20th April 2019. The paper written on the accepted topic should be submitted to the Organizer for review by 1st May 2019. Authors will receive a notification on acceptance of their paper or a need for a revision by 10th May 2019. Presentations of papers should be submitted by 25th May 2019. The official languages of Processing’19 are English and Serbian. Papers should be preferably submitted and presented in the English language. Simultaneous translation will not be provided. Students will present their papers within a special session and the author of the best paper will be awarded. The Organizer invites all interested companies and organisations to be sponsors of Processing’19 and to enter into sponsorship agreements as soon as possible in order to be entitled to the congress fee payment in monthly instalments. The sponsor’s name and logo will be printed in the appropriate, noticeable section in the final programme and congress invitation. The sponsor’s name or logo (50x50 cm) will be displayed at the central place of the hall during the congress. 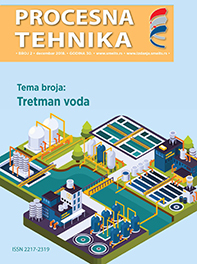 The sponsor’s name or logo as well as its one-page colour advertisement will be printed in the Congress Proceedings and in two issues of the journal “Procesna tehnika” in 2019. At the exhibition within the congress, the sponsor will be entitled to an arranged exhibition area free of charge. Three professionals from the sponsor’s company or organization will be entitled to participation in the congress free of charge. The sponsor will be entitled to give a 10 minute presentation of its business programme or new products to the congress attendees. 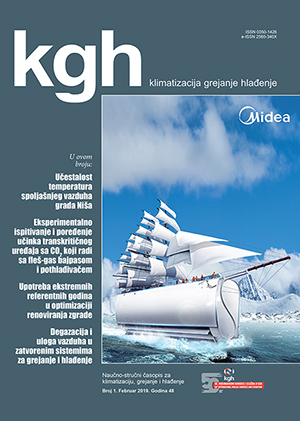 The topic of that presentation will be included in the printed programme of the congress. the sponsor’s presentations will be posted at the SMEITS YouTube channel. The sponsor will be entitled to distribute prospectuses, catalogues, and other professional and information material to the congress attendees.